Editor's Note: The text of this review is modified from David M. Kinchen's 2009 review of the Random House hardcover edition. He's baaack! Benjamin Weaver, the Sephardic Jewish ex-boxer turned private investigator, who made his debut in David Liss's historical novel "A Conspiracy of Paper," and who returned in "A Spectacle of Corruption," makes his third appearance in "The Devil's Company" ( Ballantine Books paperback, 392 pages, $15.00). Technically, Weaver isn't a private eye -- they didn't exist in London in 1722 -- he's a thieftaker, which combines the elements of a P.I. and a bounty hunter in a city that didn't have a police force. The most famous thieftaker was Jonathan Wild (1683-1725), a real life counterpart to Weaver, who operated on both sides of the law and was hanged at Tyburn. The "Devil's Company" in the title is the British East India Company, a quasi-governmental agency -- it could be called a conglomerate or global corporation in today's language -- that played a major role in the British takeover of India. Later, it played a role in the opium wars of the 1830s that led to the British colony of Hong Kong. 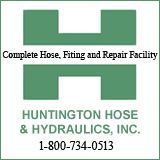 The company was incorporated in 1600, formed for trade with East and Southeast Asia and India. It began as a monopolistic trading body, establishing early trading stations at various places in the Subcontinent. Trade in spices was its original focus; this broadened to include cotton, silk, and other goods. In 1708 it merged with a rival and was renamed the United Co. of Merchants of England Trading to the East Indies. Weaver is hired by Jerome Cobb, to break into the Company's headquarters in London and find some documents Cobb wants. Weaver is more or less forced to do the black-bag job by Cobb, after he failed in a card game that was rigged from the start and ends up owning Cobb a vast sum of money. Cobb also threatens to bankrupt a co-religionist, Moses Franco, Weaver's uncle Miguel and Weaver's Gentile friend and drinking buddy, physician Elias Gordon. Jews are accepted only marginally in Hanoverian England, a kingdom that had banned Jews from settling since the mid-13th Century, only permitting them to live there beginning in 1658 under the government of Oliver Cromwell. Like Liss's previous novel, "The Whiskey Rebels" (for my review:http://www.huntingtonnews.net/columns/081030-kinchen-columnsbookreview.html) "The Devil's Company" resonates with today's news of corrupt corporations, lobbying, industrial espionage, etc. After completing the job, Weaver is ordered to become a security man at the Company where he's instructed to find out what happened to a mysterious man named Absalom Pepper. Once inside the Company, Weaver meets a mysterious beautiful woman, Celia Glade, who may or may not be engaged in the same kind of activity. You knew there had to be a beautiful woman; "The Whiskey Rebels" featured a strong, determined and beautiful woman. Raymond Chandler's fiendishly complicated plots have nothing on Liss; once inside "the Devil's Company," Weaver discovers hidden agendas that take him to the lower depths of London. Each revelation leads to further complications and Weaver and his friends finally face more than financial ruin at the hands of Cobb and his associates. David Liss is a master of research, dialogue and description. in "The Devil's Company" you'll be transported to a world where trash littered streets are invaded by street racers, young aristocrats racing phaetons drawn by wild-eyed horses, with no regard for the safety of people. You'll go inside prisons like the Fleet, which are governed by their own rules. You'll visit houses of ill-repute catering to men of all sexual preferences. And the more you discover -- along with Weaver -- about Absalom Pepper, the more amazed you'll be. Weaver is a sympathetic protagonist. 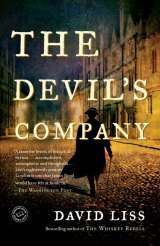 "The Devil's Company" is a fast-paced enjoyable way to absorb some history. And, if you think the idea of a Jewish boxer is ludicrous, you don't know much about the history of pugilism. As far back as the 18th Century, Daniel Mendoza of England was the heavyweight champion of the world from 1792-1795. Like Weaver, he was a Sephardic Jew. Mendoza's dates are 1764-1836 and he was the only middleweight ever to be heavyweight champion of the world. He's often considered the father of scientific boxing. About the Author: David Liss is the author of six novels. His first novel, "A Conspiracy of Paper," won the 2000 Edgar Award for Best First Novel. This best-seller was followed by "The Coffee Trader," "A Spectacle of Corruption," "The Ethical Assassin" and "The Whiskey Rebels." David Liss's novels have been translated into more than two dozen languages. He lives in San Antonio,TX with his wife and children. Visit his web site at www.davidliss.com.